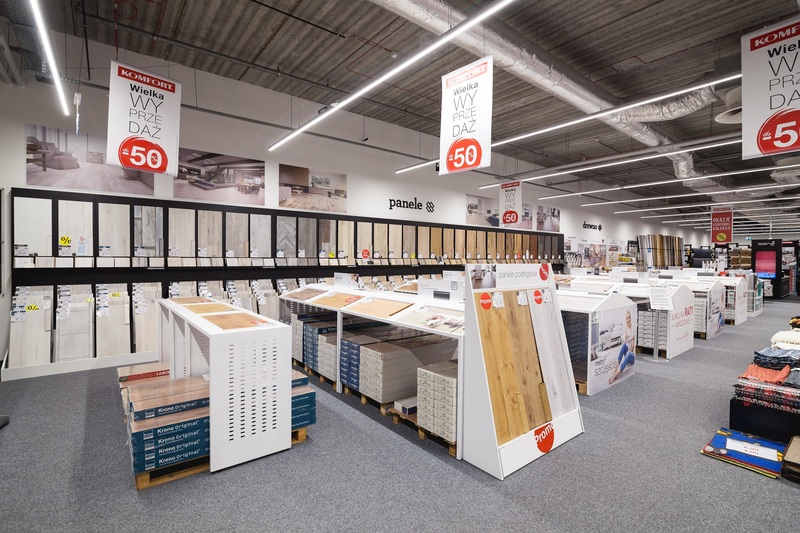 Komfort is a Polish company, a market leader, providing its clients with materials for flooring arrangements. 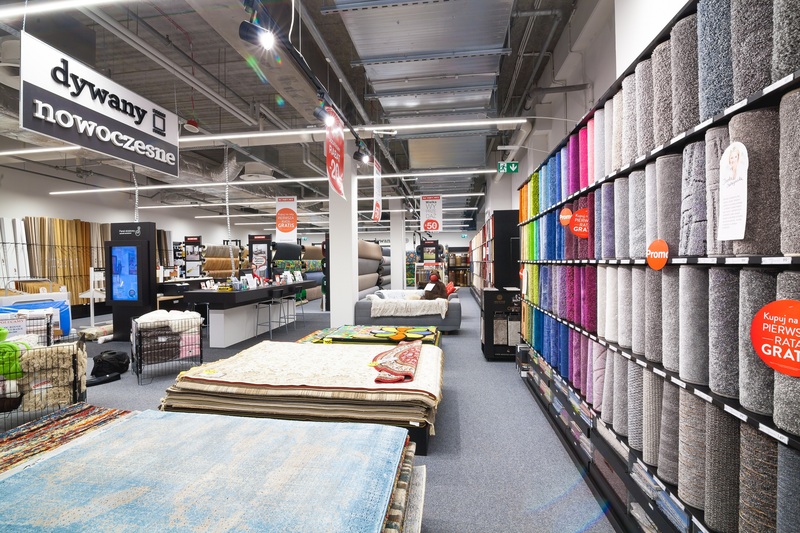 The brand has gained recognition through its 25 years of activity. 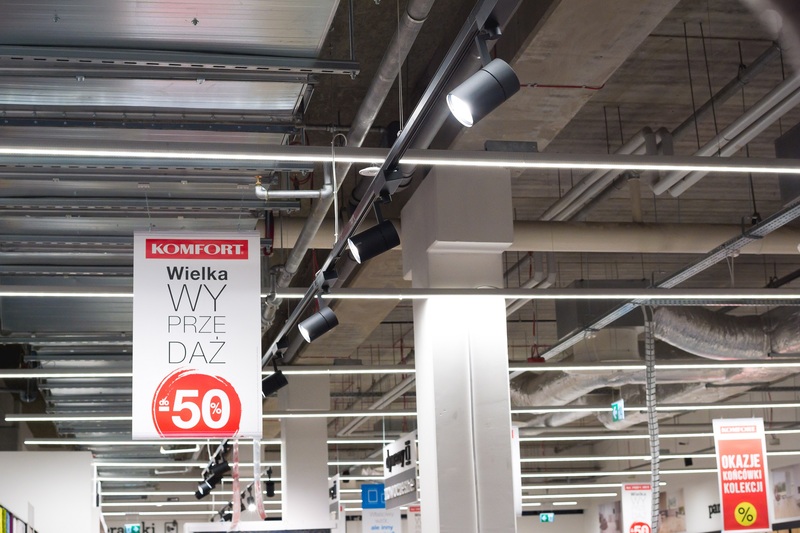 Luxon LED has been cooperating with Komfort for several years in the area of lighting design, production and assembly of lighting in commercial buildings. 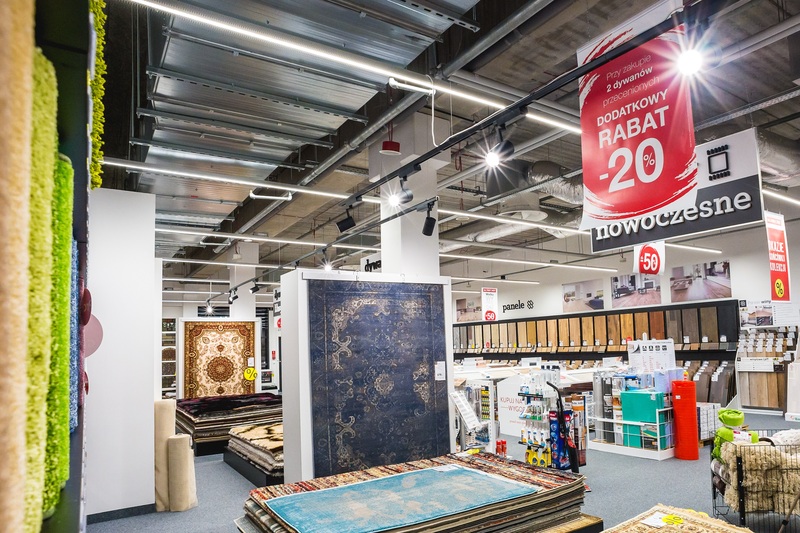 One of the realizations is the store in Rawa Shopping Park, in Katowice (Silesian Province). In the sales room, Tracklight:LED luminaires were mounted, with the possibility of directing the light beam to any place and Lumiline:LED light lines.